1. Rabbi Chaim of Volozhin’s real family name was Itzkowitz but since he founded the Etz Chaim Yeshiva in Volozhin he became known as Rabbi Chaim of Volozhin. 2. After his rabbi and mentor Rabbi Eliyahu the Gaon of Vilna passed away, Rabbi Chaim established the Volozhin Yeshiva. 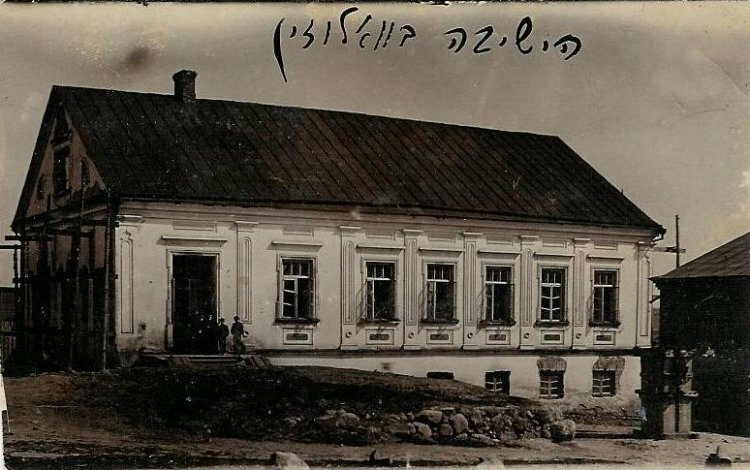 This was the first Yeshiva in Lithuania that ended up a model for subsequent ones so it was called the “Mother of all Yehsivot”. 3. Rabbi Chaim placed emphasis on ‘Bekiut’ meaning the knowledge of vast amounts of Talmud. He demanded honest learning and repeating the material over and over again for mastery. He claimed that through constant review many questions that crop up along the way get answered through the review. 4. If someone was having difficulty learning he recommended that they learn with patience and happiness. Through such learning a person could learn in a short amount of time what he can’t learn even in many hours when not patient. 5. Rabbi Chaim recommended learning the ‘Path of the Just’ By Rabbi Moshe Chaim Luzzato. Rabbi Chaim held that learning ‘mussar’ that deals with character development strengthens a person’s diligence in learning even if he feels weak and gives him “stick to it tivity” as we say in English. 6. When in trouble Rabbi Chaim recommended to say and concentrate on the concept of “Ain Od Milvado” there is no other than G-d. He should repeat those words and concentrate on their meaning and he can be saved from his trouble. 9. Rabbi Chaim wrote the “Nefesh Hachaim” which has 4 parts. The first part deals with man’s obligations in this world as the choice creation in this world with the great ability to affect this world and higher worlds. The second part deals with the power of prayer and how it affects this world and higer ones. The third part deals with Kabbalah and the ‘Ten Sefirot’ realms through which G-d relates to this world and sends his blessings to it. The fourth part is about the importance of the Torah and those who study it. Most Yeshivot spend time studying this last part. Rabbi Chaim also wrote the ‘Ruach Chaim’ the spirit of life, a commentary on the “Chapters of the Fathers” and he also wrote a book of responsa with correspondence of questions on various topics and their answers.